A boat is a form of transportation used primarily on water. 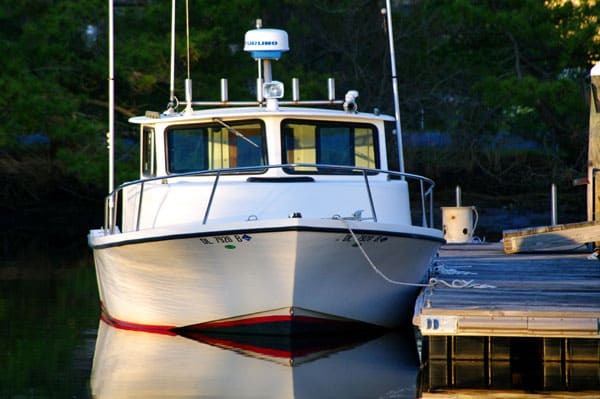 Boats come in all sorts of styles, shapes, and sizes, and as a result there can be a number of different meanings for what dreaming about a boat means. Canoe: To dream of a canoe can symbolize that you are not afraid of hard work. It may also symbolize peacefulness and a simple way of thinking. Cruise Ship: A cruise ship is large boat, primarily for fun and enjoyment. To dream of being on a cruise ship is often a wish fulfillment dream. Ferry: A ferry is typically for short trips across a bay, and can be a sign that you are afraid of commitment or taking on too much at once. Fishing Boat: If you dream of a fishing boat, you may be "fishing" for something in your waking life. House Boat: A house boat often represents yourself and your personal beliefs. Think about the details of the house boat, do any of these resemble characteristics in how you might describe yourself? Kayak: A kayak is for the adventurous type, and it could symbolize your need for adventure or experience. Ocean Liner: Ocean liners are massive boats for shipping cargo. You may feel as if you have important business to take care of. Pontoon Boat: A pontoon boat symbolizes your need for taking it at a slower speed. It can also symbolize family for some people, especially if you remember taking family trips on a pontoon boat. Power Boat: A power boat can be a symbol of an out of control ego. It can also mean there is a need for more power and control in your life. Sailboat: A sailboat can be a symbol for beauty and grace in your life. "Smooth sailing" means to coast through something easily, which is symbolism that you are at peace with your life. Sail boats, which rely on the wind, may also symbolize your need to be adaptable to situations. Sinking Ship/Boat: To dream you are on a sinking ship symbolizes that you feel hopeless or out of control about a situation in your waking life. Tug Boat: To dream of a tug boat could symbolize that you are feeling "tugged around" or that you may be "tugging" something around behind you. You may be carrying emotional baggage or pent up resentment. Yacht: A yacht in your dreams symbolizes that you are free from worry and are enjoying yourself in life. Think About Your Personal Experience With Boats: If you love boats, having a dream about a boat can be exciting and a lot of fun. If you're afraid of boats, the dream may symbolize other fears and anxieties you have. Your personal experiences with boats will also influence your meaning for boats. Describe the Boat in 5 Words: Use 5 words to describe the boat. These 5 words will help you better identify the feelings and emotions of the dream and help you understand the context of the boat in the dream. Look for Other Symbols: Water is another symbol often associated with boats, and the type of water can help you better understand the meaning of the dream. Just as there is a difference between an ocean liner and a canoe, there's a difference between dreaming of a pond and an ocean! If the boat is not on water, it could symbolize a lack of emotion or flow in your endeavors. Are there any types of boats we may have missed or any boat dream interpretations you would like to share? Tell us about them in the comments section below!